Imagine standing at the nurses’ station and receiving an alert on your phone that your California license is scheduled to expire DURING your California assignment. 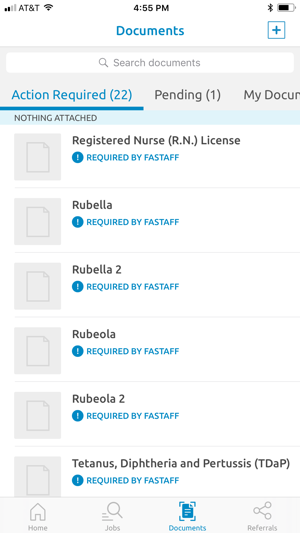 Now imagine uploading the updated license to the Fastaff mobile app from your phone without even moving. Hit Submit. Sip Coffee. Return to delivering high-quality patient care where you are needed most. 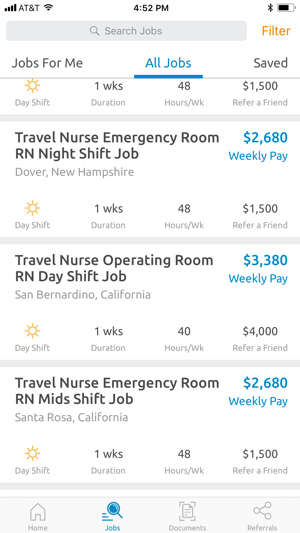 The Fastaff app brings industry-leading mobile convenience to any nurse who is job seeking, managing multiple state licenses and certifications, acquiring updated work experience and/or education, or referring friends to the industry’s highest paying jobs. 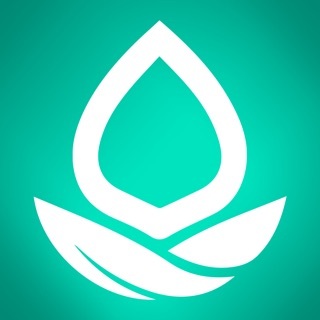 From a simple real-time mobile-optimized scrolling display of available jobs, to secure upload and storing of your documents using just your camera phone, to receiving alerts about expiring licenses or certifications, this app makes your life easier so you can hit the ground running in a high-paying Fastaff assignment. 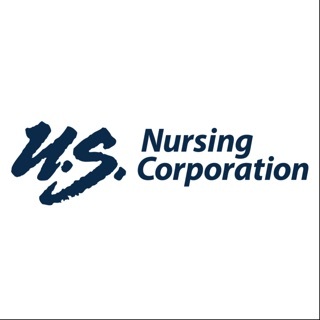 The Fastaff Mobile App allows travel nurses conveniences to bring order to the on-the-go nature of travel nurse life. This mobile app is one more tool to keep everything else under control so you can hit the ground running when you arrive on site to offer uninterrupted high-quality patient care in urgent and crucial situations. I wish I could like this app!! I really wish I could. 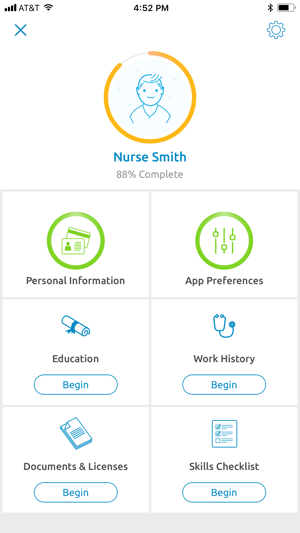 As a Registered Nurse who has travelled with Fastaff (x2 assignments), I wish this app was congruent with the web. 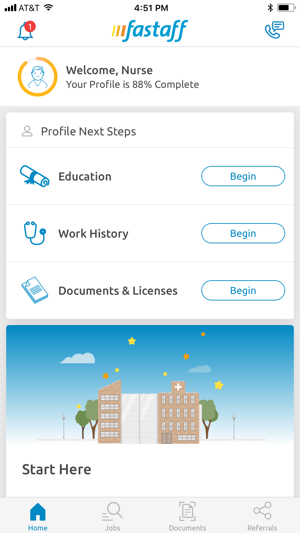 This app tells me that my profile is partially complete when I KNOW the portion that it’s asking about has already been filed!! I also wish there was a delete all button for notifications. I hate the fact that there are a million notifications about “Jobs For Me” that takes me to the SAME list. Just let me delete them already, especially if I viewed the selection. Things change. In fact, as a Travel Nurse, change is the only constant! Your app won’t let me change my address, or amend my work history, or even update my contact phone information. Not at all user friendly. Easy - excellent visibility to high paying jobs! So easy to find and apply for jobs!